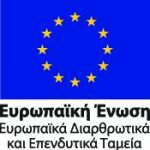 Tendering – ΑΤΤΙΚΟ ΜΕΤΡΟ Α.Ε. J+P AVAX ΑΕ- GHELLA SpA –ALSTOM TRANSPORT S.A. The candidate contractors are invited to submit their technical and financial offers by Friday, March 15th, 2019. The project’s budget rises to the amount of 1,510,000,000 Euros and its construction is foreseen to take 8 years. This new development is a major step towards the implementation of the most important infrastructure project, which will decisively improve the quality of life of the residents in Attika region. Section Α’ “Alsos Veikou – Goudi”, which is the scope of the present tender procedure, has been planned so as to serve a number of densely populated areas within the Athens Basin and particularly the center of Athens by constructing four new stations (namely, the stations of Exarchia, Akademia, Kolonaki, Evangelismos). Nine (9) intershafts and/or terminal shafts. Double track tunnel, which will be bored by at least two Tunnel Boring Machines (TBM), approximately 10,307 m long. Underground double track, triple track and turnout tunnels bored by conventional mechanical means. Underground Single Track Tunnels (STT) bored by conventional mechanical means, approximately 850.0 m long. Two forestations on the line, before Also Veikou Station (underneath Veikou Av.) and after Goudi Station (underneath Katehaki Av.). One (1) new Operation Control Center (OCC) for Line 4, designed to incorporate operational control of lines 1, 2, 3, as well as of future new automatic lines and the Tramway line. The new OCC shall be situated within the boundaries of Sepolia Depot. One (1) new building intended for the maintenance and repair of the new trains. The building will be erected in an available space located within the boundaries of Sepolia Depot. The Project also includes the necessary rolling stock (20 automated driverless trains) and all the Electromechanical and Railway Systems required for the operation of the Line. The criterion for Contract award is the most advantageous offer from a financial point of view, on the basis of the optimum quality-to-price ratio, as per article 311 of Law 4412/16. The scope of the Contract is the preparation of the Final Design and the Detailed Final Design, the construction of Civil Works, the supply, installation, testing and commissioning of the Electromechanical and Railway Equipment, the maintenance of the Project, the training of the personnel and the supply of the spare parts for the Metro Line 4, Section A’ Alsos Veikou – Goudi. Geomechanical and Structural Monitoring of the Project structures, its influence zone and the buildings and structures within this zone. Application of the Building Information Modelling in the design process. Temporary and permanent structures for Civil Works in stations, tunnels, shafts and the buildings of Sepolia Depot. Ground improvement works and works for strengthening the direct tunnel support measures, etc., where and as required. Application of prevention, protection and/or repair measures for all buildings and other infrastructure/structures, on account of the Project construction works. Architectural finishes in stations, shafts and the buildings in Sepolia Depot. Permanent connections of the structures with the PUO networks. Works for the reinstatement of the areas around stations, shaft, buildings and other areas where interventions have taken place in the framework of the Metro Line 4 Project. Supply and installation of the necessary E/M and Railway Systems. Supply, testing and commissioning of the necessary rolling stock. Testing and commissioning of the Electromechanical and Railway Systems. Training of the operation and maintenance personnel. Supply of the necessary spare parts of the Project. c) additionally, the Civil Code.